New Zealand LOTTO NZ Draw: 1795, from MYLOTTO, mylotto.co.nz. draw 1795 on Wednesday, 17th October 2018 in New Zealand. The LOTTO NZ draw was transmitted live on TV. Draw Number 1795, was held on 2018-10-17, with following LOTTO NZ results:	05, 10, 17, 21, 26, 33, with Complimetary ball numbers: 25, and Powerball was 07, Total Winnings for this draw was: $1,869,018.00. -Each Winners' Lotto Result Prize: $580.00. -Each Winners' Lotto Result Prize: $29.00. -Each Winners' Lotto Result Prize: $21.00. 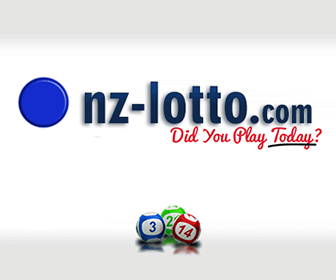 - 3 LOTTO NZ Jackpot Winners, each: won $333,333. New Zealand OZ Draw will be held on 2018-10-20. New Zealand OZ draw will be help on Saturday, 20th October 2018. Looking for the best online brokerage accounts for trading stocks, ETFs, mutual funds, and other investment vehicles? Different online brokerages vary widely in terms of the fees associated with each account, so we scoured the internet to find the best online brokers by category, whether you’re looking for a deep discount broker	(Ex. HotForex	), commission free ETF trading, or the best customer service. Based upon average ratings from individual forex traders collected world wide from numerous websites throughout the Internet we have a collection of top 100 online brokerages, that includes	HotForex, Fxsol, Finexo, MMCIS, OANDA, ProFinance, TeleTrade, Fxclub, ForexCT, ActivTrades, IBFX, HYMarkets,	and more.